Lynching, the unlawful killing of a person by a mob and one of the most extreme forms of community sanction, has occurred in North Carolina on numerous occasions throughout its history. The term originally referred to whipping, but by the beginning of post-Civil War Reconstruction it had come to mean killing almost exclusively. Although lynchings were carried out by a variety of means, hanging, followed by shooting, was the most common method in North Carolina; unlike in parts of the Deep South, it appears that no one in the state was burned to death. A few white Republicans were killed by mobs, but the overwhelming majority of victims in North Carolina were black. The turmoil of Reconstruction incited several dozen lynchings in the state, most of them carried out by the Ku Klux Klan (KKK) in Chatham, Orange, Alamance, Caswell, and Rockingham Counties. On 26 Feb. 1870, for example, Wyatt Outlaw, a black councilman in Graham and founder/president of the local Union League, was taken from his home by Klansmen and hanged from a tree in the town square. Because the killing followed a year-long KKK rampage across many parts of the state, the public outcry was vehement. It was also one of the events that helped to ignite the so-called Kirk-Holden War later that year. In December 1883 and July 1885, two gruesome murders occurred in Chatham County south of Pittsboro. The fact that axes were used and the motive seemed to be robbery for both crimes led authorities to conclude that the same party was responsible. Two months after the second murder, a coroner's jury determined that Jerry Finch, his wife Harriet, and Lee Tyson-all African Americans-were responsible. They were arrested and confined in the Pittsboro jail, where another black man, John Pattishall, was already being held on suspicion that he also was involved. On the night of 30 Sept. 1885, a mob of 75 to 100 men overwhelmed the elderly jailer and seized the Finches, Tyson, and Pattishall. About a mile south of town, all four were hanged from a large oak tree. A coroner's inquest determined that the victims "came to their deaths at the hands of persons unknown to the jurors," which was typical phrasing for such findings. Harriet Finch's murder was one of only four lynchings of women to occur in North Carolina. After 1892, two things about lynching changed in the South. First, there was a marked increase in the number of blacks killed and a marked decrease in the number of whites. 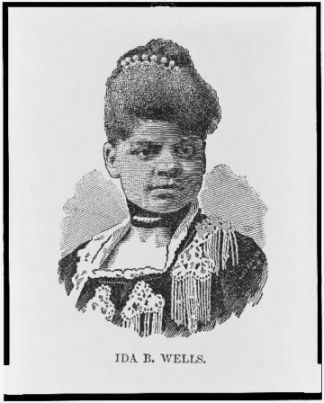 Second, a five-year wave of antilynching statutes were enacted, due in part to the efforts of activist Ida Wells of Memphis, Tenn. North Carolina passed such a law in 1893, but it was not used for over a decade. During the same period, Jim Crow laws and disfranchisement were put in place to control blacks' social and political ambitions. Over the next 15 years, lynching took more than 25 lives in North Carolina. A vigorous legal assault on the practice occurred during the term of Governor Robert Glenn (1905-9), which saw a new emphasis on identifying and prosecuting lynch mobs. Over the next decade the number of lynchings declined sharply (11 people between 1908 and 1918), but then they increased again (11 blacks were lynched between 1919 and 1923). After 1923, death by mob action became increasingly rare in North Carolina, with some years passing without a single incidence and no more than one between 1926 and 1941. In 1941 Robert Melker, a 23-year-old black man living near Cherryville in Gaston County, was driving with his wife when four young white men in a passing car yelled at him. The whites then chased them home and into their house. Melker's mother stepped outside and fired a shotgun to frighten the attackers away, slightly wounding one. The four returned with shotguns of their own, called Melker to the door, and shot him down. At their trial Graham Dellinger, Haywood Dellinger, Robert Sellers, and Fred Hudson all pled guilty to second-degree murder and received sentences of 14 to 25 years. In modern times, the term "hate crime" has generally replaced "lynching" when race or other factors have led to an individual's murder by a group of people. A well-known example in North Carolina is the 1970 killing in Oxford of Henry "Dickie" Marrow, a 23-year-old black veteran, by Robert Teel, a white man with KKK connections, and his sons. Teel's acquittal, and the subsequent racially motivated violence that engulfed the town, became the subject of historian Timothy B. Tyson's much-praised book, Blood Done Sign My Name: A True Story (2004). Bruce E. Baker, Lynching Ballads in North Carolina (1995). James H. Chadbourn, Lynching and the Law (1933). W. S. Lockhart, Lynching in North Carolina, 1888-1906 (1972). Allen Trelease, White Terror: The Ku Klux Klan Conspiracy and Southern Reconstruction (1971). "[Ida B. Wells, head-and-shoulders portrait, facing slightly right]" Photo courtesy of Library of Congress. Available from http://www.loc.gov/pictures/resource/cph.3c07756/ (accessed May 8, 2012). I would like any information regarding anyCardinal suspicious deaths of groups of black persons near the Moncure area within the past 150 years if possible. Anything from lynching to possibly burned out homes or churches. Thank you. Thank you for visiting NCpedia and for reaching out with your question. I am forwarding it to reference services at the NC Government & Heritage Library. A reference librarian will contact you shortly to help you. Would like info on Lucious Grant from Conway, N.C. / North Hampton / South Hampton counties of N. Carolina/ Viginia / possible Washington D.C.